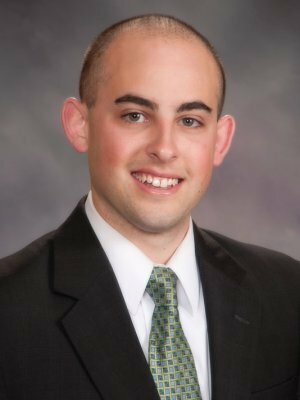 Brian officially joined the Renaissance Financial team after graduating from the University of Nebraska–Lincoln with a degree in finance. Showing his dedication in learning as much as he could about the financial industry, he spent two years interning at the Lincoln, Nebraska office. This time proved to be extremely educational and beneficial in helping him plan for his career as a financial advisor. With an extensive financial education and utilizing the team to help with both personal and business planning, Brian is able to assist his clients maneuver through numerous investment tools and create a strategy that suits their needs. He enjoys assisting his younger clients begin the journey of preparing for their future, as well as supporting clients that are nearing retirement. No matter what the age, he understands that a sound financial strategy is crucial and that throughout the many stages of life it is important to review and ensure the portfolio is adjusted as needed. Beyond building his career, Brian focuses on what brings joy to his personal life. He is part of the Board of Directors for the Millard Public School Foundation, and enjoys playing bocce and golf. Brian grew up in Papillion, NE and currently resides in Omaha with his wife, Lydia, and their two daughters, Nora and Mila. Brian has attained his Life Accident and Health Insurance Agent license, as well as FINRA Series 7 and 66 registrations.